13-point adjustable height grills and an Ember Generator let you cook your food at the perfect temperature, for that delicious flame grilled smoky flavour. 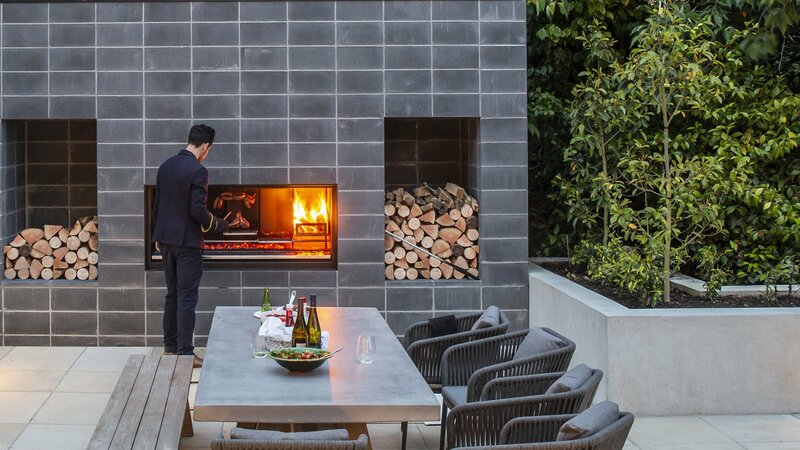 With a double layer of 4mm steel, air-cooled fluted stainless steel back plates, and 25mm thick firebricks lining the base, the firebox is protected from the extreme heat of the fire, ensuring it will stand the test of time, and the elements. Manuals and documents for EK Series fireplaces.